Posted By:Unknown | At:7:51 PM Be the first to comment! 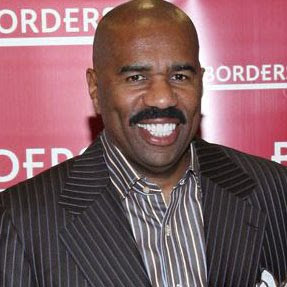 Clark Atlanta intern who allegedly pilfered $10,000 in cash from a bag inside Steve Harvey's Piedmont Road office told the comedian he'd return the money despite insisting he didn't steal it. As of last week, when Atlanta police filed an incident report, 22-year-old Kyle Reynolds had not made good on his word. According to the report, a security video showed Reynolds entering Harvey's office earlier this month. Reynolds, who was not authorized to be in the office, told one of Harvey's associates he just wanted to get a Coke but the video shows him leaving the room without a soft drink in hand. The missing cash had been delivered just prior to the theft by a bank employee, the report states. Questioned by his supervisor and Harvey, the intern claimed innocence. He later sent the supervisor a text message stating, "I am gonna get him the money just so I can end this," according to police. Calls to Harvey's management seeking comment have not been returned. Clark Atlanta was notified of the incident but school officials told police Reynolds has not returned to campus since being questioned and is currently residing in New York.